Since sleep is an unconscious state, those who suffer from sleep disorders may not be aware of their problem. 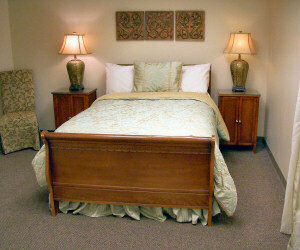 Often, those who obtain testing and treatment do so at the prompting of their bed partner or doctor. Daytime sleepiness is the most prevalent symptom indicating a sleep problem. Further investigation by our experts can help identify which sleep disorders may be affecting you. Insomnia can prevent patients from obtaining sufficient hours of sleep. Most cases of insomnia are transitory, lasting less than 3 months. Insomnia lasting longer than 3 months is considered chronic, and may need the attention of a specialist. Medications are sometimes used in conjunction with cognitive behavioral therapy to treat persistent insomnia. When daytime sleepiness occurs despite obtaining sufficient hours of sleep, there is often a physical disruption of rest during the night. Sleep related breathing disorders such as sleep apnea or sleep-related movement disorders such as Restless Leg Syndrome are common examples of this. An overnight sleep study, called a nocturnal polysomnography, is required to properly examine the sleep pattern and screen for physical disruptions during sleep. If such disruptions are observed during the sleep study, resolving these disruptions will restore the restfulness of your sleep. In rare cases, patients can experience excessive daytime sleepiness despite adequate hours of healthy sleep. Narcolepsy is one example of a this kind of organic sleep disorder. Most people associate narcolepsy with cataplexy; a symptom where one experiences muscle weakness in the body, often triggered by strong emotions. One-third of narcoleptics never develop cataplexy. 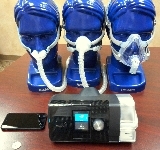 A combination of an overnight sleep study and a daytime nap study is performed to properly diagnose these disorders. Whatever your symptoms are, help is available. Contact Midwest Sleep Diagnostics to find out what testing and treatments may apply to you.